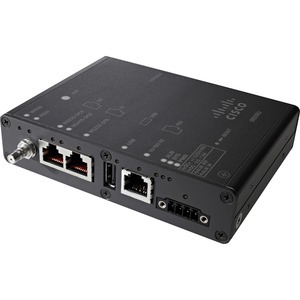 The Cisco® 500 WPAN Industrial Router (IR500) provides unlicensed 915-MHz, ISM-band wireless personal-area network (WPAN) communications to diverse Internet of things (IoT) applications. Among the IoT apps supported are smart grid, distribution automation (DA), and supervisory control and data acquisition (SCADA). The router supplies enterprise-class RF mesh connecitivity to IPv4 and serial IoT devices, including recloser control, cap bank control, voltage regulator controls, and other remote terminal units (RTUs). 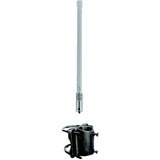 Purpose-built to withstand harsh environments, the IR500 is ideal for installations in pad-mount and pole-mount cabinets and in other demanding locations. The IR500 provides an open RF mesh solution based on the following standards: IEEE 802.15.4 g/e, IETF 6LoWPAN, IETF Routing Protocol for Low Power and Lossy Networks (RPL), IETF Mapping of Address and Port-Translation (MAP-T), and IETF Constrained Application Protocol (CoAP). It takes full advantage of worldclass Cisco networking capabilities in IPv6, security, legacy (serial) protocol transport, and network management.